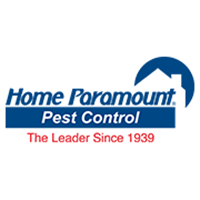 Had paramount at our home in Baltimore county for termites so it was not that hard of a decision to have your company treat are new home to prevent termites. Jerry is a great technician. Friendly, through and professional. John Lewis has been the best technician we have ever had and hope that you can continnue to schedule him to do our service. Consistently good service. Notifies of upcoming service dates. Provides feedback report after service. Always on time ,Jacob is very nice and helpful. Jerry is the best, we never have a problem with bugs of any kind after he leaves. The last survey I took immediately after your visit, was rejected. And I said very nice things! Gerry is very thorough, friendly and polite. Does a nice job. I'm very pleased with my year round service with Home Paramount. They're very friendly and always punctual! We have been very pleased with the treatment to our home. Our technician, Jerry came on time and treated the house and the exterior. We have not found any out break through the house which is such a relief. Good prompt service. Good agent. Jerry Hillman was our tech and deserves 10 stars. We called Saturday afternoon and he was there within a few hours. We were infested with ants and I didn't know what to do. Everyone we called would get back to us by Monday or Tuesday. By that time I would have had to burn the house down to get rid of them. Jerry said that he was going to make them some " picnic baskets" to take back home. It seemed to work, plus he did the outside also. He was very professional and very nice. Great service. I have an annual service with Home Paramount and I'm so glad I renew it every year. Not only do I get my quarterly home pest service, but if I see any bugs in between spraying I just call and they come out right away at NO CHARGE! Since contracting with Paramount, my house stays clear of pests and bugs. They also take care of the space under the house and clean off spider webs outside the home. Definitely worth the money! If your debating about getting a service contract, do it....you won't regret it. We are so pleased Jerry Hillman is back on our route. He is professional, courteous and efficient. He always goes above and beyond what is expected. Been here since 2011 and have been very happy with your service and especially your staff. The follow up inspection was cursory at best. Bug free home and service comes out whenever needed! Service men are professional and nice. They do a fine job. Very professional techs , they come a do there job and are very courteous. No I will not leave feedback. I have no problem with their service. We are very pleased with our service provided by Vernon, always has a smile and kind words. He asked if we have had any trouble areas or seen anything then gets to work. Excellent Job!!! Jerry provides very good service. Jerry is a top notch service tech. Home Paramount is doing a good job. Unlike other Slower Lower Delaware companies, Home Paramount keeps us informed of most appointments and arrives when scheduled. Home Paramount solved all my problems with Ants. It is easy to ask questions and easy to schedule appointments that work with for me. Always speak to a human and not a machine when I call. I am pleased with the service. But not having the original service date cancelled.